San Luis Obispo Mulch installation from Dan’s Landscaping Company includes delivery of mulch to your home or business and full installation with total cleanup afterwards. Our certified installation crew installs mulch around trees, in flower beds and specific areas that you wish for your mulch to be placed. We offer several mulch varieties to suite you needs. You’ll love our fast dependable service and our broad selection of rich mulch that will beautify your yard. Our San Luis Obispo landscapers has been serving both residential and business properties since 2003. We have over 10 years experience in the landscaping business We fully understand the process to a beautiful landscape. The concept, to design, to deliver and installation, we know that every step counts in order to create landscaping that is truly unique and adds instant appeal to your yard. With state-of-the-art technology, dependable equipment and a skilled, honest and reliable crew of experienced landscapers, Dan’s Landscaping Company can efficiently dispense large quantities of mulch into even the most inaccessible landscape areas. 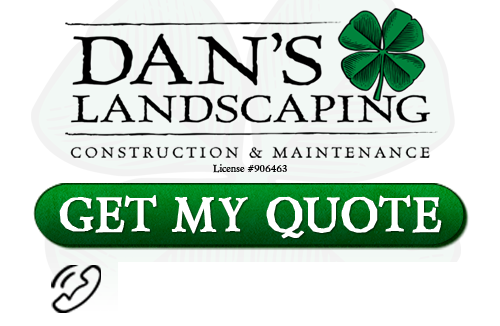 Dan’s Landscaping Company Company ensures that the highest quality products are installed on your properties at practically any depth. Our mission is to exceed our customers’ expectations guaranteeing the highest satisfaction. Combine our modern equipment with our crew of experienced landscapers, and you’ll come to love what we can do for you and your property. Best time to mulch and how often? Mulch servers a number of purposes depending on what time of year you want to put it down. 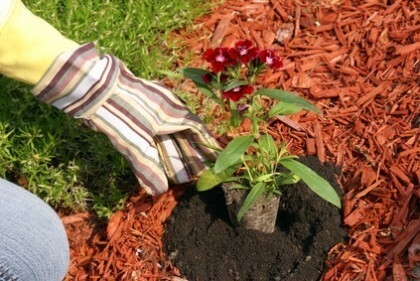 For instance, in the winter, mulch acts as a barrier between bulb & roots and freezing temperatures. The temperature in San Luis Obispo has been known to reach freezing temperatures as early as mid December, so laying down mulch down in October or November is suggested. On the other hand, if your goal is to retain moisture in your garden and have better control over your plant’s growth, then May is generally the time to lay down mulch. Throughout the late summer months when rainfall may be at its lowest levels, mulch can help the ground keep its moisture reserves, which, in turn, keeps your plants well fed. Contact Dan’s Landscaping Company to find out more about the specific benefits of mulching for every season! If you are looking for professional San Luis Obispo Mulching for the surrounding California area then contact Dan’s Landscaping Company at 805-550-5488 or complete our online request form.